An old bronze finish contrasts the solid marble base and eight spherical glass globes in Hudson Valley's mini Hinsdale LED floor lamp. Magnificent things come in mini packages is the inspiration behind the re-imagination of the revered Mini Hinsdale floor lamp by Hudson Valley. Fittingly fun with an unmistakable side of flair, this Mini-Hinsdale eight-light LED floor lamp in old bronze finish features kinetic, playful design with a hint of original Hinsdale class. Adorn dressers or desks for a cool, catchy vibe. 64" high x 11 3/4" wide. With eight built-in 3 watt LEDs that have a total light output comparable to 150 watt incandescent. 2400 lumens. 3000K color temperature. 90 CRI. Full range cord dimmer switch. Mini Hinsdale contemporary eight-light energy-efficient LED floor lamp from Hudson Valley. Old bronze finish. Metal construction. White opal glass. Natural marble base. Marble may vary slightly in pattern and color. 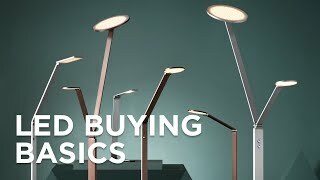 Give any decor instant urban flair with this LED floor lamp.